Friday, February 1 at 10am and 7pm at the Boonah Cultural Centre. 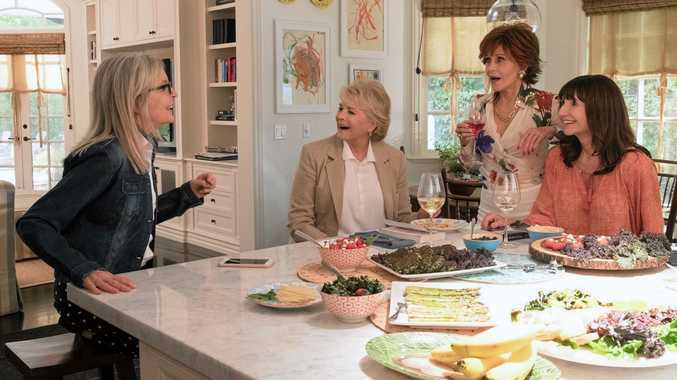 STARRING Diane Keaton, Jane Fonda, Candice Bergen and Mary Steenburgen, this movie shares the tale of how four lifelong friends have their lives upended when they read the Fifty Shades of Grey trilogy. Tickets are $10 for adults and $7.50 for concession. Wednesday, February 6 from 6-7pm at the Boonah Pool. LEARN how to play canoe polo and the best canoe paddling techniques. This activity is suitable for people aged between 8-80. The cost is $10 for adults and $5 for kids. For more information contact Brad Grant on 0490 011 570. Thursday, February 7 from 6-8pm at the Beaudesert Library. HEAD down to the library for a night of magic and wizardry as you relive the magic of J.K Rowling's Harry Potter series. For more information, phone the library on 5540 5142. Monday, February 18 from 9.30-11.30am at the Carinty Fassifern Community Centre. LEARN how to prepare tasty, healthy and affordable meals and snacks in this fun workshop. For more information, phone Megan Crichton on 0432 061 886. Thursday, February 21 from 10am-noon at the Boonah Community Garden. REDUCE landfill and learn how you can repair and restore items to use again. The cost is a gold coin donation. Phone Rob Davies on 0448 077 713 for more information.